The first time Mandy Moore and I met, it was at a crystal shop in Venice, California, where we received aura readings from a spiritual healer before spilling our guts to each other over vegan ice cream, all for a big Byrdie feature in late 2016. It was one of the most surreal days I've ever spent on the job, not only because of the dreamlike circumstances but also because of Moore herself—specifically her authenticity, which is truly peerless in Hollywood. The interview took place right after season one of NBC's This Is Us had aired—it was before all the award shows and red carpets, before Mandy Moore fever had fully resurged. Moore was still at the beginning of her entertainment "comeback" at the time, and as we talked about her thoughts on mental health, newfound vitamin routine, and nontraditional family background, it quickly became clear that candid, self-possessed, grown-up Mandy Moore was here to stay. In the year and a half since, it seems as though Moore has squeezed in about a decade: She picked up a Golden Globe nomination and a SAG Award for her role on This Is Us; she secured a contract with skincare brand Garnier as a celebrity brand ambassador; and in her free time, she managed to squeeze in climbing Mount Kilimanjaro, the world's tallest freestanding peak, alongside close friends and her fiancé, Dawes member Taylor Goldsmith. Life is surreal for her, too. When I found out I'd get to meet Moore again at a launch event for Garnier's new rosewater facial mist the other week, I knew we had much to catch up on. Did she stick with the vitamins? What was her Kilimanjaro training schedule like? And how does she deal with the stresses of her relaunched career? Authentic as ever, the angelic actress was down to fill me in. 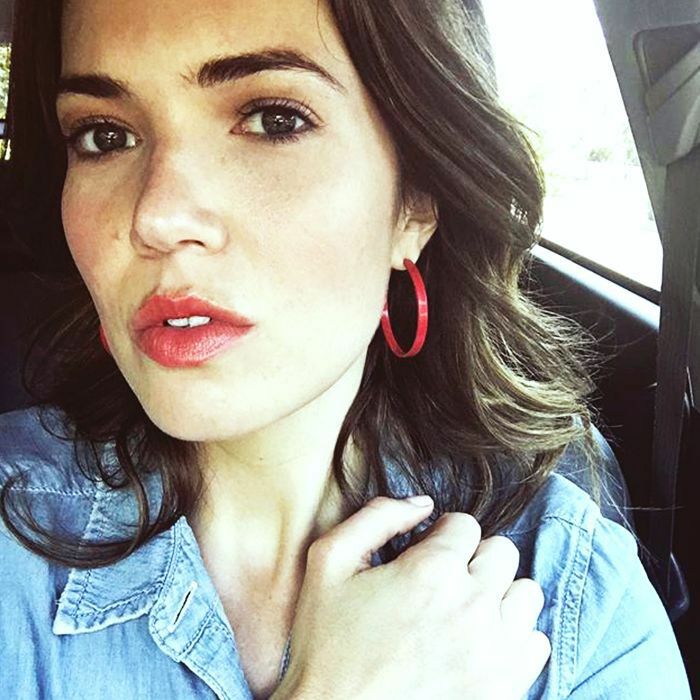 Read on to get a sense of Mandy Moore's 2018 beauty and wellness secrets. The last time we talked, you were newly into vitamins. Have you kept up with that routine? I stuck to the vitamin taking for a good couple months, and then, of course, that fell by the wayside. Hard. I think it’s also because Taylor, my guy, who was very into vitamins, stopped taking them. And I was like, what?! If you’re not leading by example, I’m not following. I think I’ll get back to it. But I’ve really started focusing on the power of probiotics. 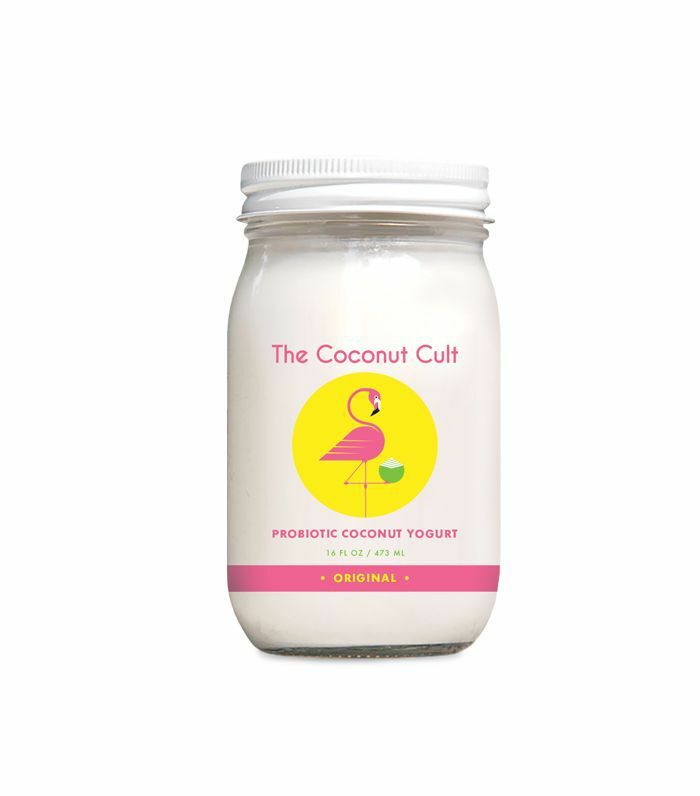 I love a good probiotic, whether it’s taking a pill in the morning or having coconut probiotic yogurt ($25). I’ve always had weird stomach and digestion issues, so I feel like that’s an easy thing I can actively do to compensate if I eat something that I shouldn’t or that doesn’t work with my system. Being able to lean on that is a good thing. I love that you have a hard time sticking to a routine, because so do I. People who are so regimented about their diet and wellness kind of intimidate me. I mean, certain things are a routine for me. Like, coffee is a routine for me. But beyond that, I can’t really think of anything else that’s truly my routine. It just doesn’t really work for me. You’re too busy for a routine! Speaking of which, do you have any strategies you use to deal with stress? I think I’m better than I used to be at actively saying no when I feel overworked. Finding some means of self-care, whether it’s a night in by myself, or a bath, or a glass of wine, or going to therapy. I find sometimes when I feel the least like I need to go to therapy is when it’s the most beneficial. Like, that’s the time for me to go. That’s so insightful. It’s like, once you get cocky about your own ability to deal with stuff, that’s when you need to go. Yeah! Absolutely. I also feel like I’m good about being spontaneous and saying like, I want to go away for the weekend. I think taking time for yourself is essential in managing stress. Having something to look forward to, rewarding yourself. Ojai, or Big Sur, or a staycation in town. Or just canceling everything and staying home. All of that I feel like is really important. We’re so caught up in doing a million things and the fear of missing out. I think it’s just important to try to scale back and be kind to yourself. Yeah, like people have such FOMO because of social media. I have the opposite of FOMO. I have the fear of not being in my own bed. The fear of not being home. F-O-N-B-H.
FONBH. Ha! Pronounced like “phone-bow”? I love that. Okay, but switching gears: I want to know everything about your new Mount Kilimanjaro tattoo. This local tattoo artist did it. It’s his interpretation of Kilimanjaro. There are three different peaks to Kilimanjaro, and every sign throughout the park has this little outline of the mountains, so each of us that went on the hike got our tattoo. It’s so pretty. If you had to get another one, what would it be? I don’t know if I would get another one. Maybe if I had kids one day, I would get their initials somewhere. Something dainty and delicate. But other than that, I don’t know. If inspiration struck, for sure. Tell me about your current skincare and makeup favorites. 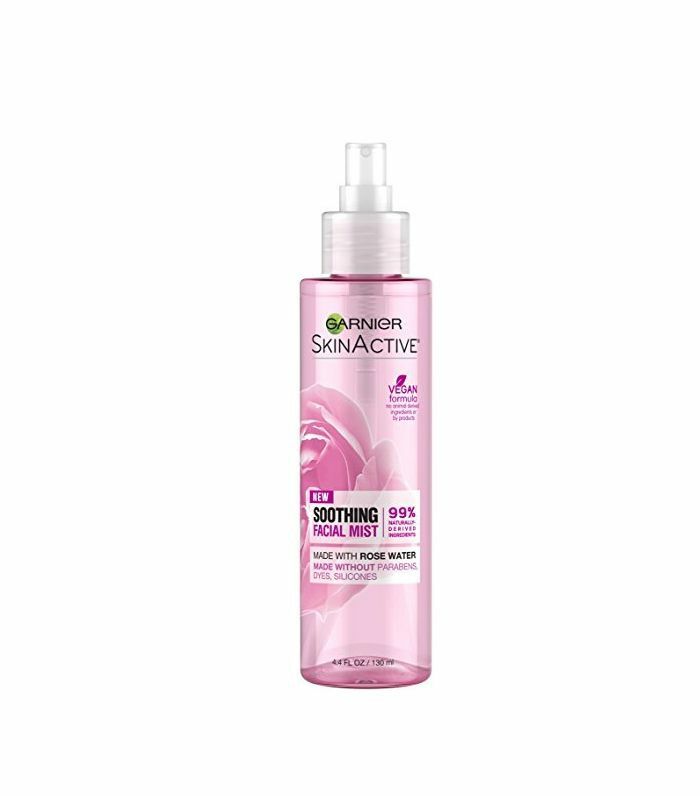 Well, since we are here to talk a little bit about skincare, this [Garnier SkinActive Facial Mist Spray With Rose Water, $9] is my new favorite. I actually just finished a big bottle of it. It’s like the perfect thing. I use it as a toner. I put it on before makeup. I spray it on my Beautyblender ($20) while applying makeup. I spritz it on my face before I leave the house. I put it in the fridge. It’s a really delightful thing in the summertime. So this is a huge part of my routine right now. 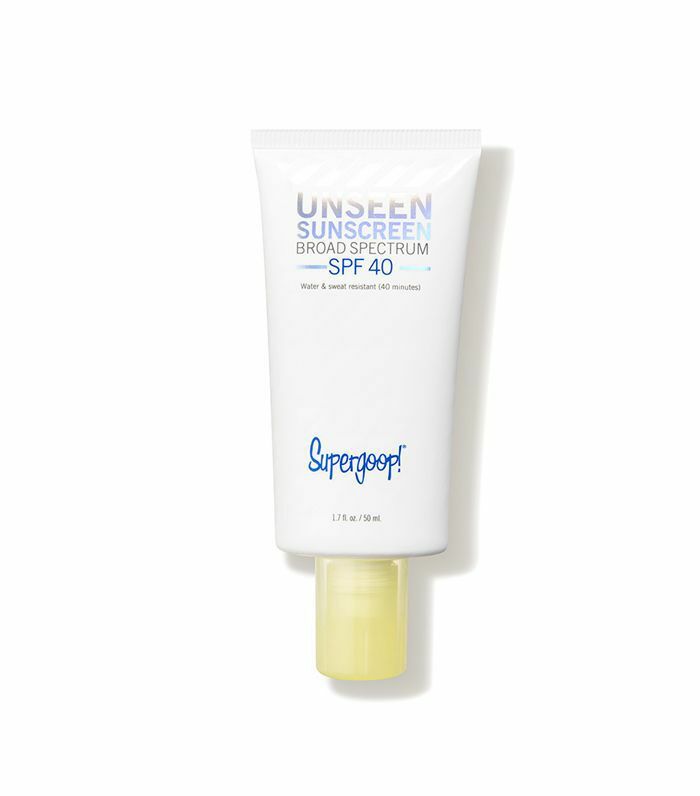 Other than that, I really like Supergoop sunscreen. They do a really light one, almost like a good primer for if you’re putting on any makeup. I’m also really into Korean CC creams with sunscreen in them so I can double up on SPF. That’s typically what I put on my face, just with a tinted moisturizer. Then I love the Jillian Dempsey little Eye Tints ($28). I use those. I use a little Hourglass brow gel ($28). And then a lipstick [like Linda Rodin Luxe Lipstick in Tough Tomato, $38]. I love a good pop of color. A spritz of the Garnier rose water, and I’m ready to do. Looking forward into the next five years, what are some of your wellness goals? I would love to be in a place to physically be able to do something a little more challenging than Kilimanjaro. Like, I kinda maybe want to do Everest base camp. Not Everest. I’ve read Into Thin Air. I know what happens. Not a pretty picture. But we had five or six weeks to prepare for Kili. It came together really last-minute. It wasn’t so physically demanding that I feel like anybody here couldn’t do it. It’s more mental than anything. Like, it was tiring, and it takes a lot of time, but you’re just walking on an incline every day. Yeah, I’d love to physically be in shape to do something more challenging. Career goals for the next five years? I want to make more music. I hopefully want to be on the show [This Is Us] still. And I’d love to start producing stuff: TV, film, documentaries. And I think I’d like to dip my toe in directing. At least with the show and see if it’s something that’s of interest to me. Hopefully the show will go long enough that all of us cast members that have a desire to dip our toe in the directing pool will have a turn to do it. Ooh, do you have any music stuff down the pipeline? Not right now. But I’m actively willing it to happen. To manifest. Want more celebrity interviews? Don’t miss our conversation with Kristen Bell, where we talk about shopping sustainably, America’s “outrage addiction” problem, and more.